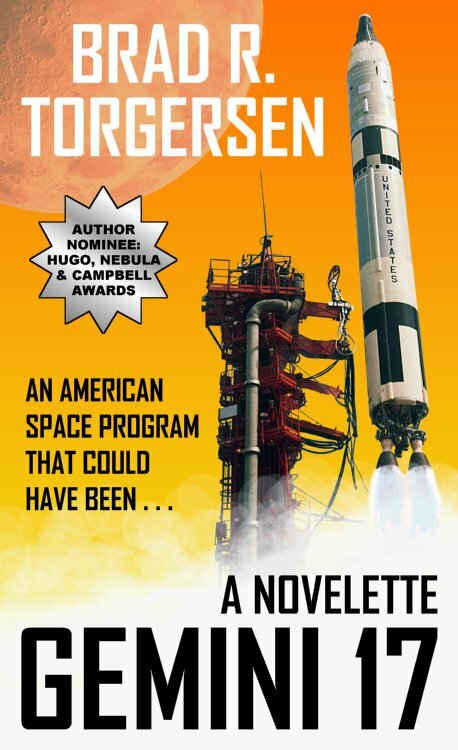 Brad R. Torgersen is making waves in the science fiction community, with recent Hugo Award nominations and comparisons of his writing style to Robert Heinlein. Brad works as a computer technician in the healthcare industry as well as being a United States Army Reserve Chief Warrant Officer. 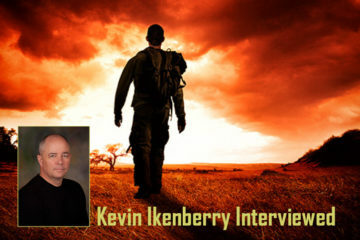 His fiction has appeared in Analogy magazine, Galaxy Edge Magazine and InterGalactic Medicine Show Magazine. 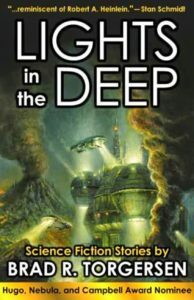 Brad also has two short fiction collections: Lights in the Deep (reviewed on Albedo One) and Racers of the Night is due out in late 2014. Brad’s first novel, The Chaplain’s War, is slated for an October 2014 (Baen Books) release. Brad took time out of his busy writing schedule to speak to George Anderson and David Conyers. What kind of science fiction do you write? I tend to write what is colloquially known as “Hard Science Fiction” in that it adheres (or more less) to the known laws of physics, abides by generally understood rules of mathematics, etc. I try not to break these rules, and if I do, I try to be consistent about how they are broken. Moreover, my books and stories tend to focus on the everyman: how (s)he reacts to challenges, upon being plunged into dire or extraordinary circumstances. If I could hang my hat on a philosophy, I would quote Captain Kirk from the second (original) Star Trek movie: I don’t believe in the no-win scenario. Thus while I might put my characters through hell, I also operate from the premise that hell is a temporary condition, so what happens after that? What does the future hold? How will men and women craft for themselves a life of meaning and purpose, even if all has been taken from them? Who or what influenced you to become a science fiction writer? My two greatest influences are the work of co-writers Chris Bunch and Allan Cole, and the work of Larry Niven. I’ve also greatly enjoyed books by Orson Scott Card, W. Michael Gear, Kim Stanley Robinson, Vernor Vinge, and Stephen R. Donaldson. Of course, these are just the literary influences. I was watching science fiction on television and at the movie theater long before I got into reading “proper” SF. In fact, I usually tell people I came into the field sideways: as a media fan (original Battlestar Galactica, Star Wars, Star Trek, and anime series like Robotech) before I got into reading (and eventually writing) SF. My motto is: bold tales, told boldly. Most of my influences (and mentors) have tended to abide by this axiom. Larger-than-life adventures and sagas that really grab a reader and immerse him/her in a situation with significant stakes. Not just for the main character(s) per se, but also from a standpoint of societal philosophy and/or survival. The thing that tipped me over into wanting to tell my own stories, however, was an opportunity I had in 1992. A local community radio station (KRCL-FM, Salt Lake City) featured a home-spun science fiction radio serial called Searcher & Stallion. It played every Sunday night, and I was an avid listener as a teenager. The summer I graduated High School, I contacted the creators of Searcher & Stallion and asked them if I could take a shot at writing scripts for them. They had me script 12 episodes, and while writing (and listening) to these episodes, it occurred to me: Larry Niven gets paid good money to do this, so how much harder would I have to try in order to be like Larry? The answer was: a lot harder! But writing for Searcher & Stallion was so much fun, despite the ensuing years of struggle and rejection, I always had this dream in the back of my mind that I could be a “for real” SF writer like Larry; some day, if I worked hard enough. Now that I’ve been nominated for and won some awards, published a lot of work, and have even collaborated with Larry Niven, I’d say the dream is reality. 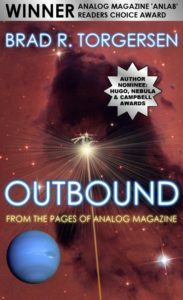 You have been a multiple nominee for the Hugo, Nebula and John W. Campbell awards. How has this affected your readership, how you write, and do these prestigious nomination open doors for you as a writer? Being nominated for awards like the Hugo, Nebula, and Campbell was a complete surprise. Mostly because my perception is that these are “literary” awards for writers who tend to possess “literary” credentials and “literary” styles and sensibilities. I am an Analog man. Meaning, I write straight-down-the-middle Analog magazine type stories: Hard SF, character and plot driven, transparent prose, etc. 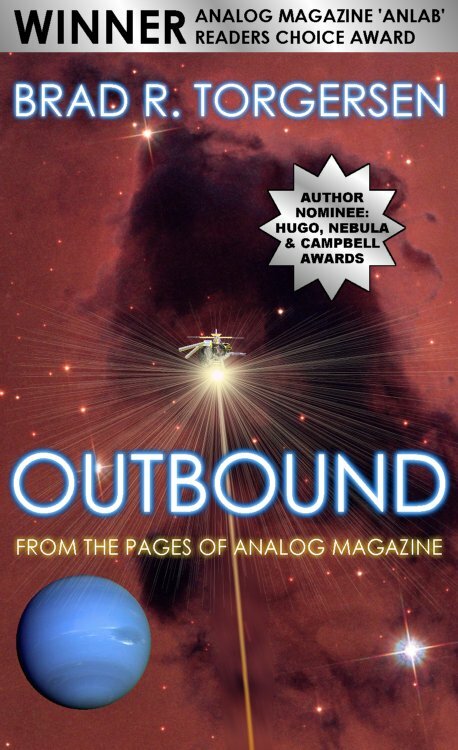 Analog rarely ever gets stories on the Hugo or Nebula ballot. So seeing myself land the triple-nominee slot (in 2012) was a bit of a shock. Furthermore, seeing my name on the Hugo ballot again (in 2014) was a double shock. I seem to be treading the fine line between traditional “Heinlein” type stories, and the more academically-flavored, literary stories that tend to attract the interest of the voters who presently make up SFWA and the World Science Fiction Convention. I’d say being on the ballots has helped expand my readership, no question. There are people who read me now who’d not otherwise have been aware of me, prior to being on the ballots. 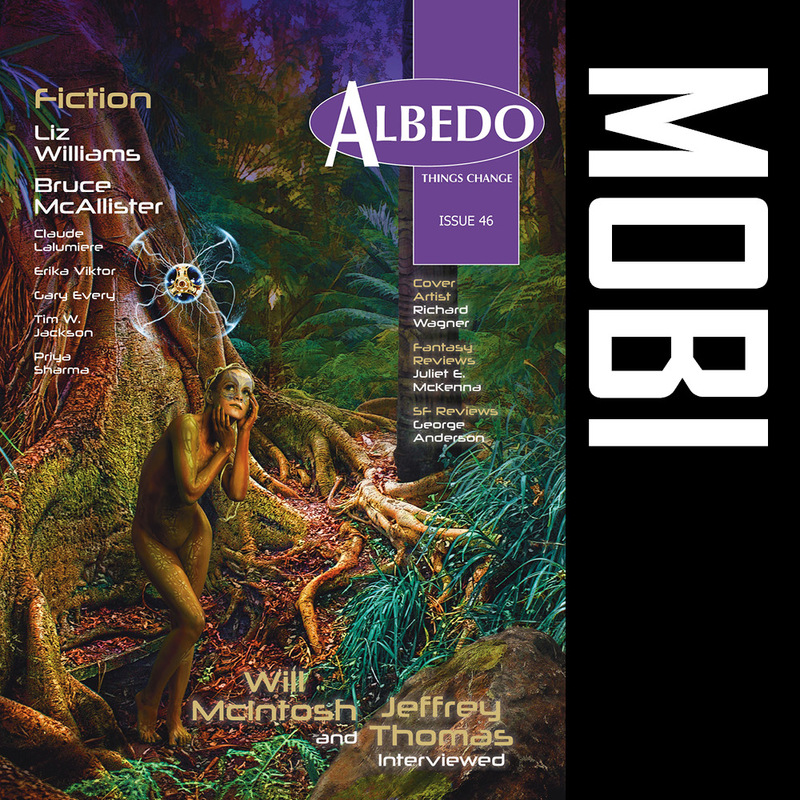 Of course, if you want my honest opinion, I prize my Writers of the Future win and my two Analog magazine AnLab readers’ choice award wins, more than the Hugo or Nebula nominations. Because the former was a “blind” win where the story itself had to earn me the prize, and the latter are direct reflections of how satisfied Analog magazine’s reader base (thousands of men and women) are with my work. My objective is to a) give my readers a good time and b) make some money. In that order. AnLabs (and good reader mail) tell me I am achieving the former, while continued contracts (and enthusiastic feedback) from editors like Trevor Quachri and Toni Weisskopf, achieve the latter. I am not sure exactly how many doors the Hugos and Nebulas have opened for me, though I can say for sure these things help me with overseas editors. There is no such thing as bad press, and making the ballots (especially more than once) definitely counts as press. The win isn’t as important (to me) as getting my profile raised onto the radar; for more and more readers. But does any of this change how or what I write? Not a damn bit. I follow in the footsteps of my influences and my mentors, and I try to write the kinds of stories I would like to read, and which I believe fulfill not only my desires as a storyteller, but the desires of a (perhaps underserved?) demographic of readers who have (according to their own reader mail) become disaffected with SF; because of the trends in the field in the last 25 years. 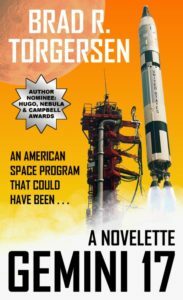 So many times I have gotten letters saying, “I was so happy to read your story, it reminded me why I loved Science Fiction, before I stopped reading in (insert year here).” SO, while being on the ballots is enjoyable, being able to tap and speak to this underserved demographic is the real emotional payoff. You serve as a Chief Warrant Officer in the U.S. Army Reserve. How has a military career affected your writing and do you believe military themes important to the SF genre? I think military stories and themes will always be with us in SF because the reality of space exploration continues to be influenced very much by military concerns and military personnel. Most of our great astronauts (and cosmonauts) have been military, or have had military pedigrees. And while some may argue there is more to SF than outer-space stories, I would argue that for many SF readers (especially those who enjoy media like Star Wars and whatnot) a big part of the allure is the outer-space setting; to include fighter battles, fleet-to-fleet maneuvers, etc. Witness the terrific success of the rebooted Battlestar Galactica, which was very much a military SF program, albeit with heavy doses of civilian soap opera. As a CW2 in the USAR I get to have my cake and eat it too: I can be a civilian most of my life (and enjoy all the perks thereof) while also doing my tiny bit for King and Country. I’ve been privileged to serve with some amazing men and women, and I am also able to see the military on the “inside” in ways that help me (I think?) 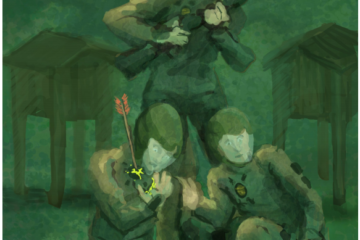 achieve a much greater degree of verisimilitude, with my military SF stories, than I would otherwise. Certainly, when I read the old military SF stories I wrote prior to joining the Army Reserve, and the military SF stories I wrote after joining, there is a stark difference. 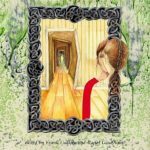 The former are clearly the product of someone who is riffing off of absorbed second and third-hand folklore, while the latter show the direct (often unconscious) influence of first-hand experience. To include no small amount of first-hand graveyard humor and cynicism. How do you see today’s technology which removes soldiers from the battlefield, such as drones and robots, affecting modern warfare, which is a theme in several of your stories? I take it as a given that robotics, drones, virtual reality, etc., will become essential to 21st century (and beyond) warfare. There are definitely times when there is no substitute for having a man or a woman with a rifle on the scene, but very often these days a job can be done just as well, or perhaps even better, via remote. A robot can be designed to go places and function under conditions that would incapacitate or even kill a man. Advances in computers and wireless communication mean that even infantry platoons can now pack man-portable robots which will be sent to deal with situations too dangerous (or too improbable) for an ordinary troop. In outer space especially, where carrying oxygen and food and water (and waste) around, are expensive, drones and proxy-presence hardware seem like the inevitable trend. Not a replacement for humans per se, but merely the new, most obvious “face” of the soldier in battle. Which of course raises all kinds of questions about how and what defines a soldier, who gets to claim the glory (or the dishonor) in action, how does this all change the rules and ethics of armed confrontation, etc. Many have already complained about “Nintendo warfare” making it too easy for people to ignore the human toll of combat. I suspect such complaints will get even louder, the more we isolate our soldiers from actual battle by putting them into control booths in trailers. Speaking personally, I say, don’t send a man or a woman where a machine can do the job just as well, or better. Lives (and experience, and wisdom, and knowledge) which can be preserved through a judicious use of equipment, ought to be preserved. I don’t think we’ll ever become 100% mechanized at every level, but I think we probably will eventually get to the point where our mechanization is so thoroughly integrated into the modern soldiering experience, that we do become like some of the imaginary armies of Heinlein or other authors who postulate walking robots, intelligent tanks, etc. The only hurdles being cost, and the physics problems involved in getting large, heavy equipment to move quickly over distance. How important is realistic science and technology in your story telling? Your writing sometimes deals with the nature of faith and belief in the face of almost insurmountable odds. Themes of religion and the influence it has on people and their perception are often skirted around or ignored within the genre of science fiction. How could the genre benefit for asking more of these existential or metaphysical questions? My (perhaps somewhat skewed) perspective on the field is that SF/F (as a creative enterprise) is populated with post-religious refugees. Ergo, people raised in this or that faith tradition, who have fled said traditions (for various reasons) and embraced various forms of secular humanism and agnosticism, if not staunch atheism, to include boisterous anti-theism. I understand this because I was going down that road myself, as a teenager. But since I have chosen to remain active in my own faith tradition as an adult (The Church of Jesus Christ of Latter-Day Saints) it occurs to me that SF (as a field) has something of a blind spot, where religion is concerned. Too often religion is treated as “primitive” or even dangerous, and future (“advanced”) societies are portrayed as having “moved on” from religion. Or if religion is present in those future societies, it’s an obvious and egregious harm to those societies. I think SF could benefit from a more realistic view of religion simply because, if we have not wholly abandoned religion in the age of routine spaceflight, iPhones, ubiquitous internet, etc., then we’re not going to abandon religion in future ages. Our 21st century technological toys have given us unprecedented luxury and access to information, but these toys do not satisfy (for 3 out of 5 people) the questions posed by Spock in the first Star Trek film: is this all that I am? Is there nothing more? Many have argued that religion’s answers to these questions, are placebo at best. And those critics may be right. Nevertheless, I think it’s interesting that when we deliberately turn away from established “old” religion, we tend to invent new religions for ourselves (Postmodernism? Environmentalism?) without even recognizing them as religions; despite the fact they come with definite doctrines, commandments, priests in positions of authority, devils assigned ignominiously to their roles as tempters and spoilers of the world, et cetera. I think we are (as a species) “wired” for church. Now, this can sometimes be a good thing, and it can also sometimes be a bad thing. Too many writers (and fans) in SF seem to assume the religious glass is forever half-empty. My suspicion is that there are a great many fans (and also some writers) who recognize that the religious glass can also be half-full, too. Religion means a lot to most of the Earth’s present population. We need religion. Therefore, I think it is not an automatic that future societies will be post-religious. The specific forms and modes of religion may shift or change, but I think religion will always be with us. And I don’t think that’s a bad thing. I think it simply shows us who we really are, and probably always will be. Science Fiction generally has a preoccupation with technology and the impact that this has on humanity and its environment. Your stories, particularly the Chaplain ones, suggest that a species that is reliant on technology as an integral part of their being lose an intrinsic part of themselves in the process. How do you see this manifesting in society today? When I was writing my Chapain’s universe stories (and book) one of the themes that emerged quickly, was the idea that even marvelously advanced technology will always have unintended consequences or side-effects. When I imagined the mantis aliens I wondered what might happen to a species of cyborgs so utterly immersed in the “lens” provided by their technological integration, that natural or instinctual perceptions and urges would be suppressed to the point of non-existence. I think we see troubling glimmers of this in human society today, as we all crowd around our computer screens and hunch over our mobile devices, ignoring the world (and the colors, the smells, the activity) around us. Assuming our virtual reality technology keeps advancing and we can achieve commercially viable Holodeck units (similar to that of Star Trek) I believe whole demographics of our population may fall prey to preferring VR over R. Even now, we grapple with a generation of “gamers” who spend 12 to 18 hours a day (or more) locked in their cyber-lives lived via World of Warcraft and other games. It won’t surprise me at all to see such individuals (in the future) unplug from the real world altogether. How will this be detrimental to human consciousness? Raising children? Functioning as a productive society? How might an entire civilization (like the mantis civilization) which is “plugged in” lose important parts of its collective memory and identity, assuming a cybernetic society that lasts thousands of years? I think all technology offers us (as people) tradeoffs. Not all of those tradeoffs will be apparent in the beginning. And while it’s fair to say that doomsaying regarding television and computers has not precisely come to pass, I do think television and computers have very much altered our lives, compared to a century ago. How much more will our lives be altered in the future, and will these alterations be to our liking? Will we even recognize what we’ve potentially lost? What happens when the “virtual” becomes more important to us than the real? The Matrix movies tackled this, in popular cultural terms. Especially the first film. I think we can’t run away from the problem, even if we want to. Assuming aliens exist on other planets, and they are technological, I doubt they’ll be able to run away from the problem either. Tell us about your recent collection of science fiction, Lights in the Deep, and your favourite stories contained within? Lights in the Deep came out in September 2013, just in time for the inaugural Salt Lake City Comic Con. Like the con itself, Lights in the Deep nominated Analog magazine story, “Ray of Light”, for the cover. It’s a Bob Eggleton original, and I adore it. 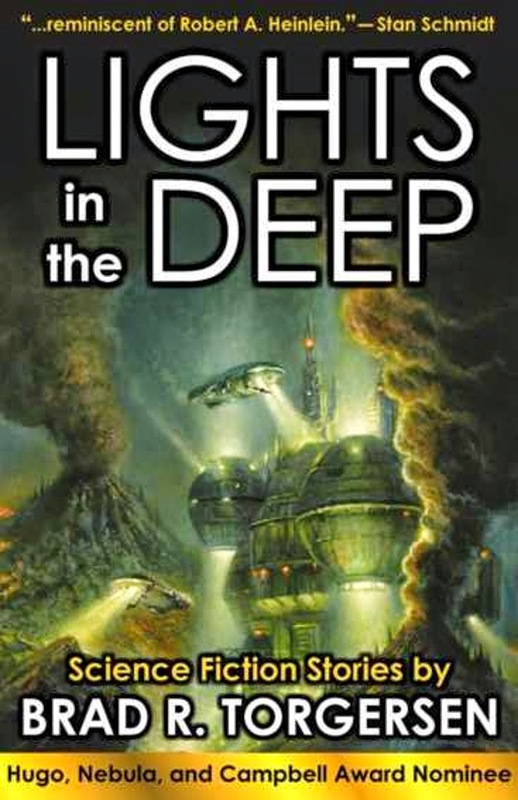 So not only does Lights in the Deep ever Analog publication, as well as an Analog magazine AnLab readers’ choice award winner, and “Ray of Light” which ends the book; and was the Hugo and Nebula nominee. Overall, the motif of the book is: hope springs eternal. Most of the stories therein deal with catastrophes of one kind or another. Sometimes, cataclysmic or world-ending catastrophes. To which I ask the SF question: what next? The struggle (by ordinary men and women plunged into extraordinary circumstances) for progress, purpose, and meaning, despite horrendous or overwhelming odds, is writ large throughout each of the enclosed tales. I can’t say I have an absolute favorite among them, except to perhaps quote actor Geoffrey Lewis: the best one, is the next one. The Chaplain’s War, out soon from Baen Books, is based on the Hugo award nominated novella “The Chaplain’s Legacy” and “The Chaplain’s Assistant”. What can readers expect in your first novel? I didn’t originally set out to make the Chaplain’s stories into a novel. Except, once “The Chaplain’s Legacy” got picked up for Analog magazine, I realized that there was enough “there” there, for a much larger, more cohesive story dealing with the same themes tackled in the short fiction. Readers who have already read “Assistant” and “Legacy” will find the original material present, and not much altered; barring a few details to make the whole thing gel consistently. In terms of additional story, they’re going to get a full look at Harrison Barlow the man: his coming to the Fleet military, his experiences during training, how and why he came to the prison planet Purgatory, and also what happens after the final events described in “Legacy”. Just as my career has tended to follow an old-school trajectory (breaking in with short fiction, then leveling up to novels) so too is The Chaplain’s War an old-school book. It’s what my friend and teacher Mike Resnick calls a “fix up” book: a larger tome assembled from previously published, independent parts. Larry Niven’s first books tended to be “fix up” books too, so I consider it an appropriate accident that my first Baen book is a fix up book as well. I really enjoyed being able to take the 30,000 words of “Assistant” and “Legacy” and expand greatly upon those stories, such that the world (and the dilemma) of the short fiction, is more fully realized. Short fiction sometimes forces a writer to leave a lot of salient data on the cutting room floor. The Chaplain’s War at material which makes the entire story arc broader, more engaging, and ultimately (I believe) more rewarding for the reader. 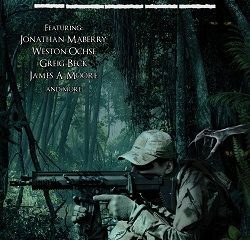 Early reviews of the ARC for The Chaplain’s War’s profile. I am not sure I could have asked for a better introductory “splash” as a new Baen author. I should also mention that WordFire Press is doing a second short fiction anthology, coming for Salt Lake City Comic Con 2014. 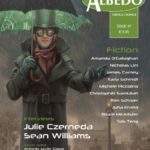 It’s titled Racers of the Night, and features more of my best short work from the pages of Analog magazine, Galaxy’s Edge magazine, Orson Scott Card’s InterGalactic Medicine Show, and so forth. Hopefully fans who pick up a copy of The Chaplain’s War, and like it, will pick up a copy of Racers of the Night (and Lights in the Deep, if they don’t already have it) as well.